We believe CRU Day Camps allow kids to have the opportunity to have a fantastic week on camp, meet new friends and great leaders, take part in fun new activities and learn about God. And we appreciate your willingness to help tell more kids about the wonderful CRU Day Camps coming up in your community. Below we've listed some avenues you can use to spread the word and some resources to help you do so. Find place in your newsletter for an ad for an upcoming Day Camp. Show the video on the right to potential campers at a school chapel or church service when you hand out flyers. Post a picture with a comment about the camp, including a link to this website. 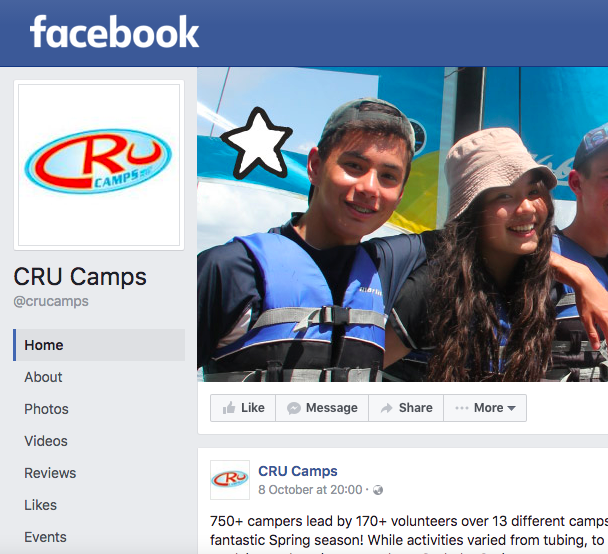 To directly present the CRU Day Camp to your community, send an email to parents who have kids in primary school. Attach the ad (download above) to give parents a visual representation of camp.